Like 17b, this challenge is different. 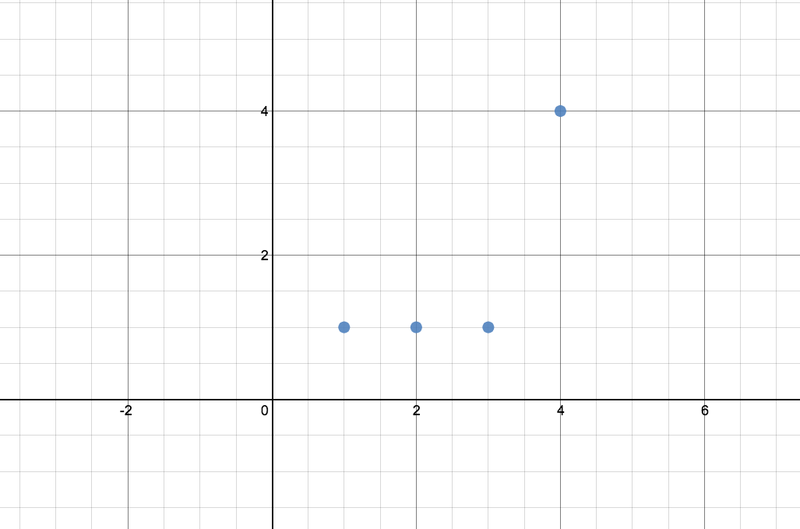 Can you come up with a graph that goes through these four points using desmos.com or some other graphing tool? Great solution and lovely explanation! I really like it when Daily Desmos solutions have accompanying write-ups that reveal the solver’s thinking. Hope to see you around the site!